Times are tough for nursing students but financial assistance is available if you know where to look. Several diverse organizations offer scholarships and grants to those Delaware residents who are interested in pursuing a career in nursing, including private companies, healthcare centers, community foundations and the University of Delaware. 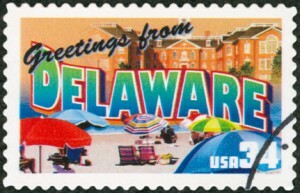 Although there are a few exceptions, most of these programs require an applicant to be resident in Delaware, and that the school that he or she wants to attend also be based in Delaware. The amounts awarded also vary, with some being fixed annual amounts and others being whatever a specific fund can afford in that specific academic year. A prospective student of nursing in Delaware should fully review his or her options before choosing the scholarship program that works for them. Information concerning further scholarships – and there are more than those listed here. They must be enrolled in, or about to enroll in, an education program that would qualify them for a career in nursing or one of the other healthcare fields. Applicants must have a minimum SAT score of 1,000 and must rank in the top 20% of their class. If an applicant meets all eligibility requirements, he or she will then still have to be interviewed to determine final eligibility. Applications for these scholarships must be filed in April of each year and further information can be obtained from the Fund at C/O PNC Bank Trust Department, P O Box 791, Wilmington, DE 19899 (tel: 302-429-1186). The University of Delaware Alumni Association funds half of the tuition costs for several new students each year and continues to pay these costs for each student’s full four year program at the university. The UDAA will review every university application received each year and will choose several students to whom the scholarships are then granted. As the university offers academic programs in nursing, those who are applying to enroll in the nursing degrees are eligible to be considered for these scholarships. If considered for a scholarship, a student will have to come in for an interview, but there are otherwise no formal eligibility requirements. Other factors that will be considered by the UDAA when deciding to whom the scholarships should be granted include general academic performance and strength of involvement in the high school and outside community. The UDAA can be contacted for further information at The Office of Alumni Relations, University of Delaware, Alumni Hall, 24 East Main Street, Newark, DE 19702 (tel: 302-831-2341 and website: udconnection.com). Applicants must have been accepted into a nursing program offered by an accredited college or university. It is, furthermore, expected that all scholarship recipients will put patient care above all else in an attempt to improve the overall quality of nursing in the state. This scholarship is run by the Delaware Community Foundation that, among other things, will determine the amount of any given year’s award based on the current value of the scholarship fund. Further information can be obtained directly from the Foundation at P O Box 1636, Wilmington, DE 19899 (tel: 302-504-5222 and website: delcf.org). Applicants must be under 25 years of age and must major in one of several degree programs, including a nursing program or a nurse practitioner program.